If a user disconnects from their session without logging off this may (depending on policies applied) leave their session in a disconnected state. If a concurrent logon limit is in place, this will prevent them from logging on at a later date. 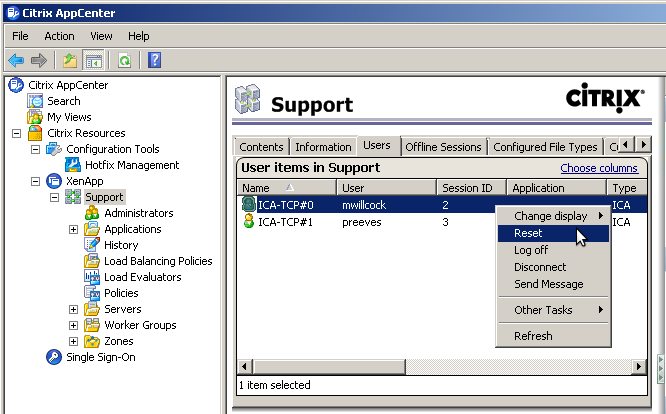 User sessions can be reset by using the Citrix AppCenter application. 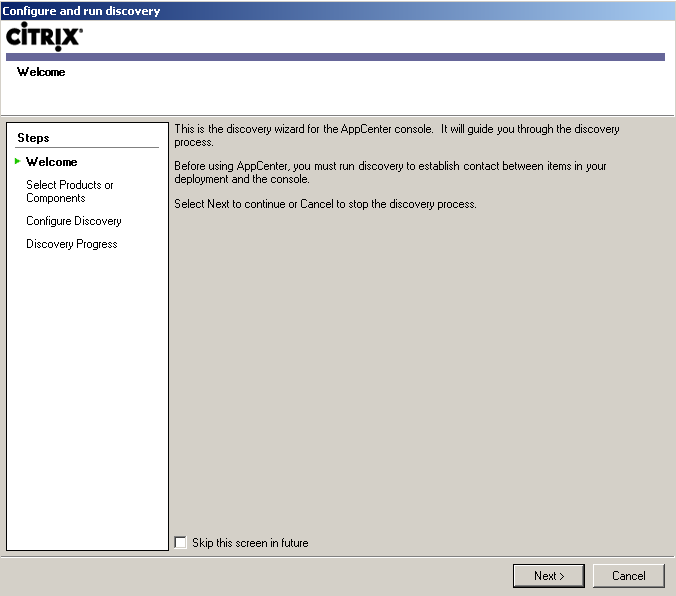 Start the Citrix AppCenter application by selecting it from the start menu. 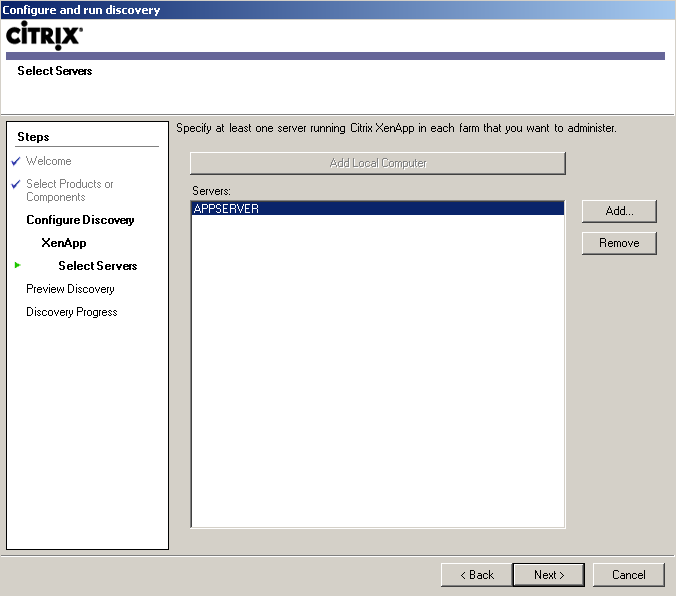 Note that Citrix applications have now been relocated under Administrative Tools. 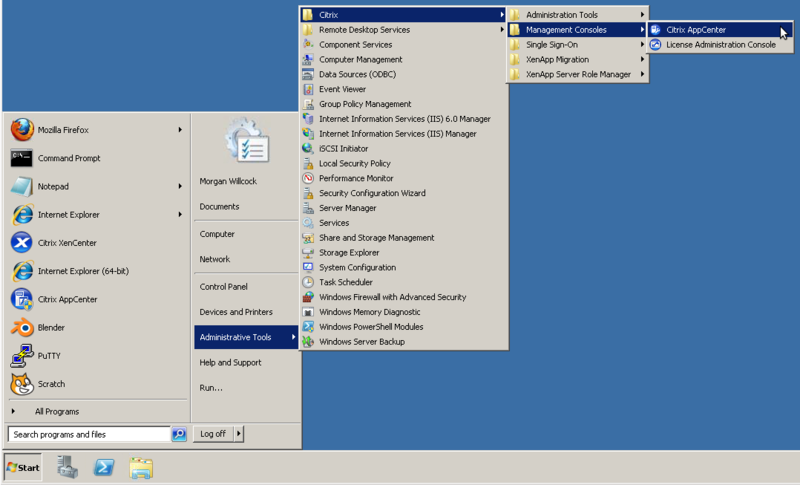 In earlier version of XenApp, this may be called Access Management Console or Delivery Services Console and can be found under Citrix > Management Consoles on the Start Menu. The procedure below is just the same, but the name of the program is different. If this is the first time that the application has been opened you may have to run through the discovery process. Press Next. 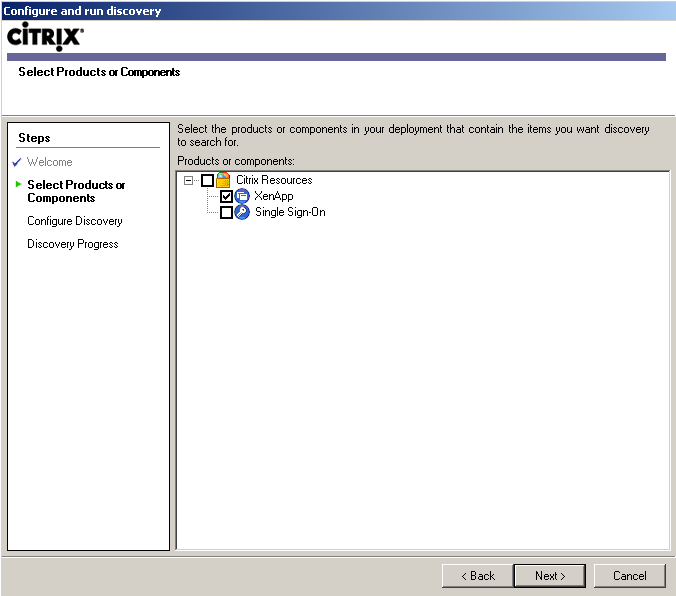 On the Select Products or Components screen, untick the checkbox for Single Sign-On, then press Next. 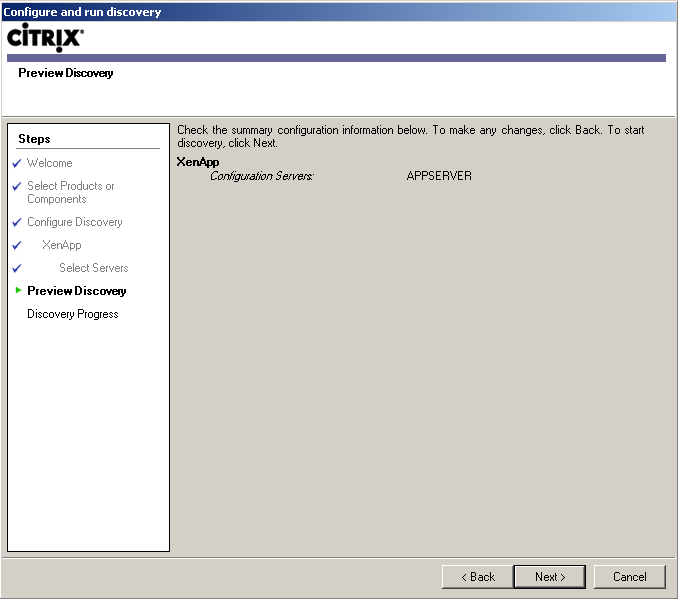 Press the Add Local Computer button to add the local server to the XenApp server list. If you have multiple servers in a farm you do not need to add all servers to be able to administer that farm. 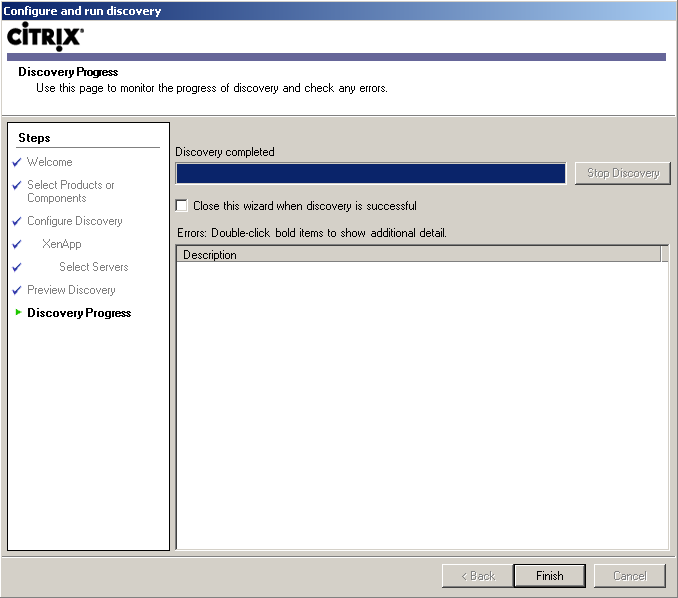 Press Next on the preview discovery screen. Press Finish once discovery has completed. 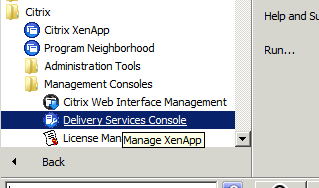 Select the Farm name that is listed under "XenApp" in the left pane of the interface. In the the right pane you should now be able to select the users tab. Right click and choose Reset to end a user session.